The New York Purgatorial Society | A pious association dedicated to assisting the poor souls in Purgatory. 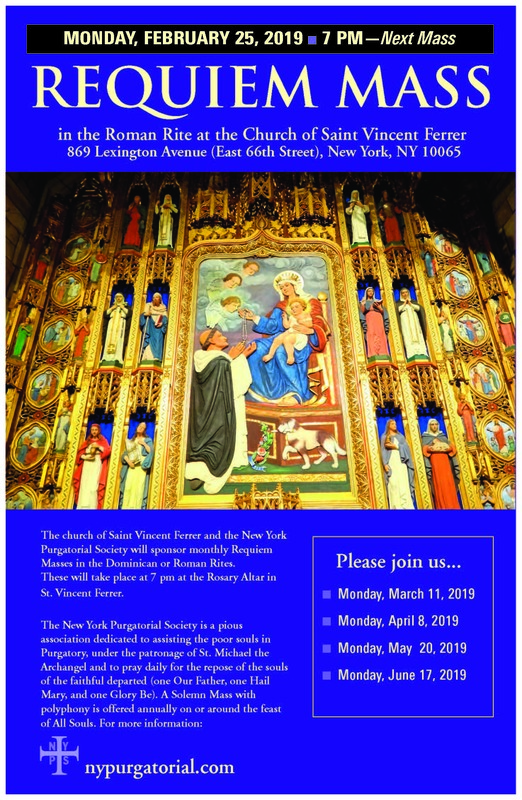 The New York Purgatorial Society is a pious association dedicated to assisting the poor souls in Purgatory, under the patronage of St. Michael the Archangel. 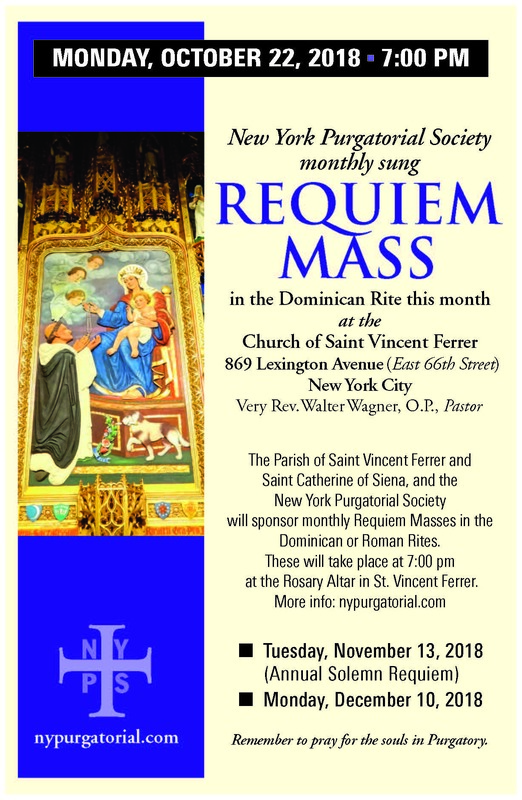 Members hear Mass (Usus Antiquior) monthly and pray daily for the repose of the souls of the faithful departed (one Our Father, one Hail Mary, and one Glory Be). 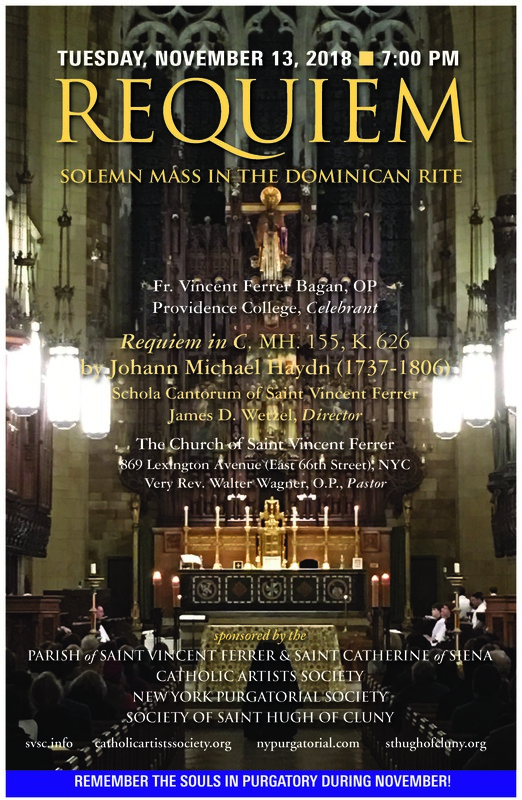 A Solemn Mass with polyphony is offered annually on or around the feast of All Souls.